Application will be accepted online only. Submission of on-line applications will close one week prior to the last date for receipt of application. In engineering curriculum there will be an technical seminar subject in final semester or third year, for this students has to select an technical topic on latest field of study, here we are providing latest and best ieee technical topics for ece students on different fields like wireless, vlsi, ic technology and communications. i hope it will helpful for your seminar, we are giving only titles of topics, we will update full abstract and report in pdf to download later, please subscribe to receive updates. Accel Frontline Limited hiring fresher BE/Diploma candidates 2016 pass out only for our industry. Candidates have to sign 2 years bond to stay at least for 2 years with our organization. Training will be provided by company for initial period. BEL Optronic Devices Limited (BELOP) is a subsidiary of Bharat Electronics Limited requiresMechanical Engineers and Electronics Engineers on Contract Basis for a period of ONE year for its Manufacturing Departments. Qualifications: First class for General & OBC candidates and Pass class for SC/ST/PWD (Person with Disability) candidates in BE / B.Tech (Electronics / Electronics & Communication / Electronics & Telecommunication; Mechanical) from a recognized University/Institution. Experience : Minimum of six months in the similar area preferably in Engineering Industry is desirable. Candidates who have not completed BE / B Tech. need not apply. Applications submitted in the above format with all relevant enclosures will only be accepted. How to apply: Interested candidates may send prescribed application available on the Company’s website (www.bel-india.com). Only through post by superscribing on the envelope the name of post applied for along with the aforementioned self-attested documents to Deputy Manager - HR, BEL Optronic Devices Limited, EL-30, ’J’ Block, Bhosari Industrial Area, Pune- 411 026 on or before 08/11/ 2016. The charter of the ADSP stability Engineer is to ensure that the end-product qualifies the defined acceptance criteria (in terms of containing the stability issues such as crashes/resets to an agreeable number for a given number of test hour runs). The team is looking for a candidate with strong embedded/RTOS concepts and ability to comprehend and debug failures. The position involves analyzing crash dumps & identifying root cause of stability issues (such as memory leak/stack corruption/task starvation/bus hang/device freeze etc) reported by test teams and customers. The engineer would have opportunity to interact with different test & technology teams to understand the test scenarios/reproducibility of crashes & follow-up on the fixes for the software or hardware defects found. Qualifications: Bachelor's/Masters B.E/B.Tech/M.e/M.Tech in Electrical Engineering/Electronics & Communication Engineering. Expected to individually triage stability issues. Possess good analytical / problem solving skills. Possess good C, Python programming skills and awareness of operating system concepts is a basic prerequisite. Have awareness of any debugger (such as gdb / Trace32 etc) usage / fundamentals of any processor architecture and peripherals. Prior experience to debugging embedded systems and C++ programming skill would be an added advantage. Looking for 0-2 yrs of relevant work experience. Company: Alphadecimal Networks Pvt. Ltd.
- The candidate will be responsible for various Telecom Network activities like, Survey, EMF, Testing, Project, Measurement, Installation, etc. 8051, ARM 7, ARM 9, Network processor, Multimedia processor, DSP, Architectures. Solid programming experience in C and C++ required.RTOS, Linux, Linux Kernal, WinCE, Android OS Porting on embedded platform. Robo India is a research and development company in the domain of electronics, automation, robotics, embedded system and physical computing. You will be given training on various domain of embedded, robotics and physical computing. You will be given various project to work on. You will be helped to prepare technical documentation. You will be working independently on various projects. Proper documentation is to be submitted on every project you work, if project can be offered as a tutorial, then you are to prepare tutorial. Development of product manuals and guides. So many graduates has a dream to settle in a good core company with a good packages,But in 4 years of duration we have a lot of subjects some technical and some non-technical subjects we will be in a confusion that what are technical skills or subjects I needed to practice to get a good placement? Do you want to know it? Here I am giving some suggestion to get placed in core companies based on my and my friends experiences. 1. Communication Skills : Basic skills required for all companies. b. VLSI Domain: Digital design,Analog design,CMOS,Verilog,any one tool like xilinx so on..
C programming,wireless and satellite communications. going to the company interviews. No. of Vacancies : Chemical - 3 Nos., Mechanical – 2 Nos. , Civil – 1 No., Electrical – 1 No., Electronis – 2 Nos., Material Science or Metallurgy – 1 No. , Agriculture – 2 Nos., Food processing – 1 No., Bio-technology – 2 Nos. Educational Qualification: Essential Qualifiations & Experience : B.E/B.Tech/M.Sc (in Chemical, Mechanical, Civil, Electrical & Electronics, Material Science or Metallurgy, Agro & Food processing, Bio-technology) with minimum one year experience in R&D or industry. Job description: Work relating to transfer of Technology for commercial exploitation consisting of sourcing and evaluation of technologies, interacting with R&D institutions/universities, etc., preparation of market research and survey reports, techno-economic feasibility reports, project reports, Detailed Project Reports, Basic Engineering Package, Monitoring of R&D projects, marketing of technologies, Patent search, preparation of project proposals, and undertaking the various promotional work undertaken by the Corporation in cluster development, rural technologies, dissemination of information on technologies like exhibitions, carrying out industry interaction meets, workshops etc. The job of Jr.Engineers Electronics (Signaling &Telecom, Automatic Fair Collection, Rolling Stock, E&M, Scada, Stores etc), in shift duty including night shift. Written test pattern: The written test will consist of two papers (Paper - I and Paper - II, to be held on the same day in the same centre). Paper - I : It will consist of multiple - choice objective type questions, bilingual (Hindi/English), on General Awareness, Logical Ability, Quantitative Aptitude and/or knowledge of the discipline/trade(basics of electronics, computers,communications,signals,digital electronics...). There will be a total of 120 questions, each carrying equal marks. There will be negative marking. For every wrong answer 1 /3 marks will be deducted. The Paper - I shall be of 1.5 hours duration. Paper - II : It will consist of objective type questions on General English to judge the knowledge of English language. There will be a total of 60 questions, each carrying equal marks. There will be negative marking. For every wrong answer 1 /3 marks will be deducted. The Paper - II shall be of 45 minutes‟ duration. 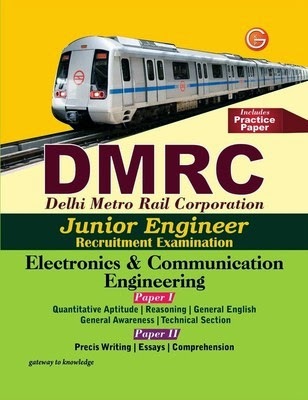 Candidates who qualify in Paper - I and rank high on the erit list within the zone of consideration, as decided by the DMRC, will only be evaluated for Paper - II. Successful candidates based on the Written Test (Both Paper - I & Paper - II put together) shall be called for Personal Interview /Psycho , at Delhi. Last date to register is 13 Oct 2016. Admit cards will be available from 14 Oct 2016 and will be sent to the shortlisted candidates through e-mail. 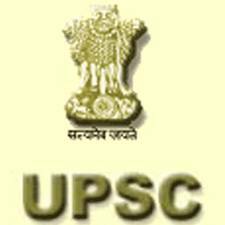 Minimum gate score required for Psu's: BHEL,BEL, BARC,GAIL and so on.. Every one has a dream to work in PSU, From 2013 onwords most of the PSU's Like BHEL, BEL, NTPC, BARC,GAIL etc..released a notification to recruit Young and energetic candidates from electronics branch Based on GATE SCORE.Now there is a question in every one's mind is, what is the minimum score required to get a interview call? ?Here i listed minimum gate score's for different categories in different PSU's,These score's are based on assumption,don't think that these are the final scores sometimes if luck favours or companies wants more peoples then below than these scores may can get an interview call but dont think more difference. All the best, Subscribe/like us to this to get more career results.. Here I am discussing what is Aptitude and preparation steps for aptitude test for placements and competitive exams.Now a days all companies asking questions from these area and I already discussed the importance of aptitude in competitive exams in my previous posts so,here I am not discussing about it. Actually Aptitude consists of two parts 1. Quantitative Aptitude 2. Reasoning Aptitude and these Aptitude tests are used to determine the logical thinking,psychological and emotional quotient of the candidates and it help the recruiters to shortlist the candidates who have right skills towards the job.This test is useful to a candidate to show his skills and attitude as a professional. These Test consists of multiple objective questions, and some companies conduct this test online. Preparation steps for aptitude test? Actually in Aptitude test the time management is the main problem. To manage time we have to solve the problems quickly for that we need more practice.If you practice daily the speed, accuracy and time limit to solve a particular section will increase day by day. First step,You need to know basics of math's for that we should go back to our school days,read NCERT books of math’s from 7th to 10th class and note down the important formula in a separate note book. So,that its easy to refer those before the exam. Second step,Now we need questions to practice for that we have a good basic book is R.S Agarwal Quantitative aptitude and Reasoning aptitude.Buy that book and Practice at least 2-3 hours per day till you get a job,first time you feel difficult to solve but if you practice more than 2 times then its becomes easy and you can solve any problem within a little time. Third step, After completing the R.S Agarwal you will get full confidence on aptitude,But its not sufficient for CAT,MAT,GRE,TOEFL and some private companies.so,we need higher level aptitude for that a good book is How to prepare quantitative aptitude by Arun Sharma.This book becomes easy to you only after the completion of R.S.Agarwal. Fourth step, practice daily a new type of questions for that use internet as source and also solve Sakuntla devi puzzles. Fifth step, Before going to write any Competitive exam or Placement exam,you should solve the previous papers of the concerned company so that you will know what area we have to focus more. Its 6 months left for GATE 2017! Here are some tips to get a good score in the exam…. Graduate Aptitude Test in Engineering (GATE) is an all-India examination being conducted and administered by the Indian Institute of Science and seven Indian Institutes of Technology. Every year, one of these Institutes becomes the organizing institute for the exam and conducts in the month of February all over the country. In the initial days, this is the main entrance exam for M.Tech programs in top universities the country. But now the scenario has changed, apart from using the score for admissions to post-graduate programs it is now considered by public and private sector undertakings for employment screening purposes. This is the main reason for this exam to become popular as it is seen that the number of applicants are doubled year to year. A good score in GATE will provide you an opportunity to get degree from the most reputed Institutes in India and will provide jobs in public and private sectors. GATE exam tests a student’s capability in engineering concepts along with managerial skills. Engineering subjects cover 70 per cent weightage while General aptitude and Engineering Mathematics cover 15 per cent respectively. It is a 3hrs online exam and is completely objective type. Now 6 months are left for GATE 2017. Aspirants must have to perfectly plan the schedule to manage the time efficiently to cover the syllabus and attempt numerous mock tests. There is no other test which opens vast opportunities to engineering graduates. Firstly, go through previous year's question paper and analyze the subject pattern and focus on those subjects which have maximum weightage. Make the list of important topics in all the subjects and start reading the theory and then solve problems concept wise. Read the textbooks published by reputed authors and understand the fundamentals thoroughly and focus on conceptual clarity. Do not rely on just one book for a topic, instead consult a couple of books for the same topic. Prepare notes after completing each chapter s o that one can refer easily at the last days before the exam. Separately wrote all the essential formulas and read them frequently .Write as many online test as possible. Theory preparation should be completed one month before the exam and then practice maximum number of times. Attempting mock test will certainly strengthens your preparation and helps you to manage the time wisely. Digant Technologies have earned a reputation as an innovative in many field including, Telecom Remote Site Monitoring solution. We are a dynamic end to end machine to machine (M2M) service providing company, aiming to be the best in this space. Bharat Electronics Limited (BEL) Issued a Advertisement For Recruiting 19 Contract Engineers..
Educational Qualification - Candidates Must Pass B.E / B.Tech in Electronics/ Communication /Electronics &Telecommunication/ Computer Science/ Civil/mechanical/ or its equivalent qualification from a recognized Board / University. BEL invites applications from diploma engineers for the following post. Qualification : The candidates should possess 3 years full time Diploma in Engineering in any of the following disciplines only: i. Electronics Engineering ii. Electronics & Communication Engineering iii. Mechanical Engineering iv. Electrical Engineering v. Electrical & Electronics Engineering vi. Chemical Engineering Correspondence course in Diploma shall not be considered as recognized qualification as per AICTE norms. Minimum percentage of marks is 60% marks (aggregate of all years) for General / OBC candidates and 50 % marks (aggregate of all years) for SC/ ST / PWD candidates. How to apply: Interested candidates should apply online. The last date for filling the online applications is 19.10.2016. Contract Engineer - Electronics -> Candidates should have completed fulltime B.E / B.Tech in Electronics / Electronics & Communications / Electronics & telecommunications / Communication / Telecommunication from a recognised institute. General / OBC candidates should have secured minimum 60% aggregate marks. SC / ST / PWD candidates should have secured minimum 50% aggregate marks. Contract Engineer - Mechanical -> Candidates should have completed fulltime B.E / B. Tech in Mechanical from a recognized institute. General / OBC candidates should have secured minimum 60% aggregate marks. SC /ST / PWD candidates should have secured minimum 50% aggregate marks. How to Apply: Interested candidates shall apply in two stages. At 1st Stage - Eligible candidates eMail "the Scanned Copy of filled in application" and the information in Excel file in the prescribed format to contengr-1@bel.co.in on or before 30/06/2016. At 2nd Stage - The candidates are required to send hard copy of the duly filled in application and Excel file -original copy (which was scanned and e-Mailed) along with required necessary self-attested photocopies of the documents by post only to DY. GENERAL MANAGER(HR), BHARAT ELECTRONICS LIMITED, N.D.A.ROAD, PASHAN,PUNE- 411021, MAHARASHTRA STATE so as to reach it on or before 10/07/2016. GATE 2017 organizing by IIT Roorke. JatinTelecom Requires Fresher Telecom Engineers. Telecom Engineer, Fresher Engineer and Trainee required on immediate basis. # Candidates must be willing to relocate any where in India, as per Telecom project requirement. # Immediate Requirement for Fresher Telecom Engineers. # Telecom Engineer, Fresher Engineer and Trainee required on immediate basis. How to apply: Interested candidates should apply online by sending their updated resume with full educational details to below email address. Indian Railways is the world’s ninth largest commercial or utility employer, by number of employees, with over 1.307 million employees. It is one of the world’s largest railway networks comprising 115,000 km (71,000 mi) of track over a route of 65,000 km (40,000 mi) and 7,500 stations. In 2011, IR carried over 8,900 million passengers’ annually or more than 24 million passengers daily (roughly half of which were suburban passengers) and 2.8 million tons of freight daily. Indian Railways comes up with latest recruitment details on various post based on Education / Qualification for the interview process all over India. Indian railway inviting applications from candidates for various post across india. Indian Railway Had Planed to Open 60,000 Vacancies From October of this Year Across India. Among the Vacancy 2,000 Will be Engineering Vacancy. How to apply: Interested candidates should apply online mode. we will update the link when the recruitment started. Service Gr ‘A’ may possess any of the above qualifications or the qualification mentioned below namely:? M.Sc. degree or its equivalent with Wireless Communication, Electronics, Radio Physics or Radio Engineering as a special subject. Recruitment on the results of this examination will be made to the Services/ Posts under the following categories: Civil Engineering. Mechanical Engineering. Electrical Engineering. ,Electronics & Telecommunication Engineering. How to apply: Candidates are required to apply Online. Last date for submission of applications : 26.10.2016. Most of us know that, master degree candidate will earn more salary and also in companies they will give high preference to those candidates. so, many of us will try go for higher degrees like M.Tech,MBA,MCA,M.S after the completion of B.Tech/B.E degree. As I am an ECE student I can tell some M.tech specializations which has high preference in industries as well as career. 1. Communication Systems: This specialization has more job opportunities in ece department, you can get a job in either top software or core or networking companies like Cisco,Intel,redpine, tejas Networks and so on... which has more chance to get any job. 2. Embedded systems and VLSI Systems: In this you can get opportunity in either embedded programming companies or VLSI companies,. If you have any interested in software field you can enter in to that also but you need to learn some programming languages like c,c++.Now a days there are so many VLSI based companies are there, so you can get job either on or off campus. 3. Signal Processing and Image processing: This is also one of the good branch in M.tech, if any company open recruitment in DSP profile then they will call us. Software field is the optional, any branch can eligible. 4. Computer Engineering: Some colleges take admissions to this branch from ECE department also,but there are few number of seats.This one provide high opportunities in software and IT field and Networking field. These are the four branches most of the top ranked students are opting during counseling time, here I am not saying that other branches have less opportunities they can also have good opportunity,but when compared to above four they have less in ece department.